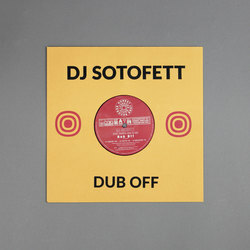 DJ Sotofett - Dub Off. Vinyl LP. Bleep. The second of two Honest Jon’s drops from DJ Sotofett finds the Norwegian producer in his element. ‘Dub Off’ is a cosmic combo of low-end theory and disco that is replete with warm bass flushes and spiralling synths. It’s not dissimilar to the more dancefloor-friendly parts of Hype Williams’ discography. ‘Dub On’ is the version that most faithfully adheres to the dub of the title, while ‘Dub On Dub’ pitches itself somewhere between the previous two.